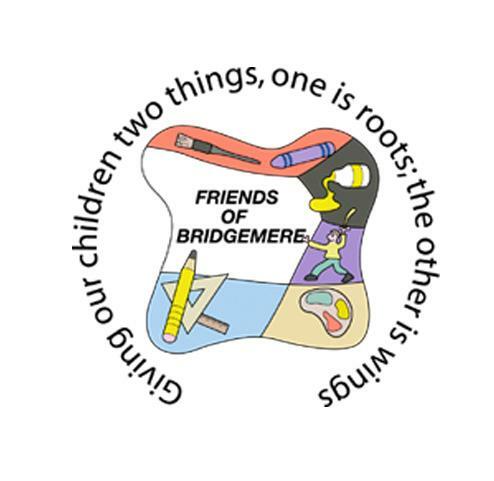 The Friends of Bridgemere School are a charitable group of parents, carers and staff, who organise various events to raise money for the benefit of every child in the school. Throughout the year, we organise fun events for the children, including the summer party, discos, Easter bingo, film nights and the Christmas fair. We also hold fundraising events for parents, such as meals out and a live band night, giving us all the chance to socialise. We also help out with refreshments at school events, including sports day and the Christmas and summer performances. Our meetings are open to everyone. Meetings are held approximately once every 6 weeks throughout the school year and take place at various venues, such as a local pub in the evening so those parents who work during the day are able to attend, or in the cafe at Bridgemere Garden World where there is a play area so parents with younger children can also attend. We welcome new parents and carers and new ideas - both are essential to ensure the continued success of the Friends of Bridgemere School. Over the last few years we have raised over £9,000! This has enabled us to purchase useful equipment to support the teaching and learning of all the children at Bridgemere CE Primary School & Nursery. We have provided Google Chrome Books, classroom equipment and books and playground games and toys. We have also contributed to larger school projects such as the playground markings and its maintenance. In addition, we also pay for the transport to the annual Christmas pantomime trip, the annual day out for the year 6 leavers and Christmas gifts. Each year, we donate money to each class teacher to spend on essential resources for their classroom that would not be covered by the school budget. All funds raised are used to benefit your children at school in some way. You can help the Friends of Bridgemere School as much or as little as you wish. You can help by attending and supporting our events, perhaps taking a turn on a stall or game at the summer party or Christmas fair, helping with refreshments, baking cakes, growing plants or helping to set up and clear away before and after events. You can come along to our meetings and even take on one of the committee roles. Any help that you can give is truly appreciated! If you’d like to discuss how you can help the Friends of Bridgemere, please chat to Naomi Moss (Chairperson), or Emma Fradley (Secretary) or Sarah Furber (Treasurer) or pop into the School Office and speak to Mrs Rowley. SO FAR YOUR FREE DONATIONS HAVE RAISED OVER £1,430! IF YOU SHOP ONLINE, PLEASE HELP US TO RAISE EVEN MORE BY REGISTERING AT THE GIVING MACHINE! Every time you shop online, via The Giving Machine website, it generates a free donation to our School! It's very easy to do and there is no extra cost to you. The donation comes from the company that you are buying from. There are over 1000 shops to choose from including all of the major online and high street companies. You could book your holiday on Expedia, buy a birthday present from Amazon or simply do your weekly online shopping at Sainsbury's and it would generate a free donation for our school. Register your details online by clicking the link below. Then click and shop as normal and our School will automatically receive a free donation. So please register now and remember to use the giving machine website when you shop online. CLICK, SHOP, GIVE FOR FREE!